Here is seen Wheeler Peak (13,063'), on right center, from the Great Basin National Park approach highway. 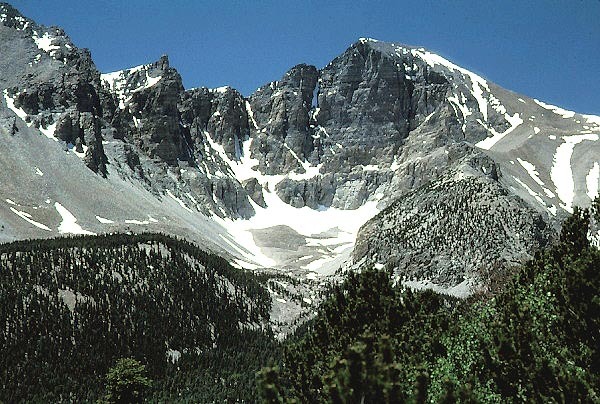 The snowfield in the middle is an ancient glacier, the only one in the entire Great Basin. Photo taken July 1, 1999, by Petesthousandpeaks.